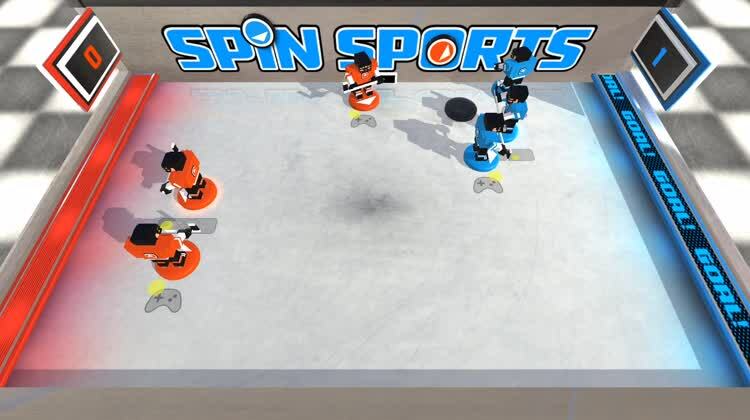 Spin Sports is a multi-player arcade-style game that lets you play with up to six people. Each character is controlled with just one button and you press it when they are facing the direction you want them to go. There are over 30 characters to unlock as you work your way to a win by just hitting the puck to score. Win The Game. You play to win the game. The first to five wins. Unlock New Characters. You can play with more than hockey players including adventurers, rock stars, zombies, and more. Tabletop Hockey For Up To 6. Play the classic arcade hockey tabletop game, but redone for the Apple TV. Your player rotates automatically, and you tap as they're pointing a certain direction to send them on their way. 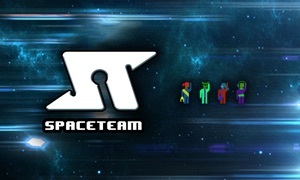 Play with up to six players with individual controllers, or against the AI. 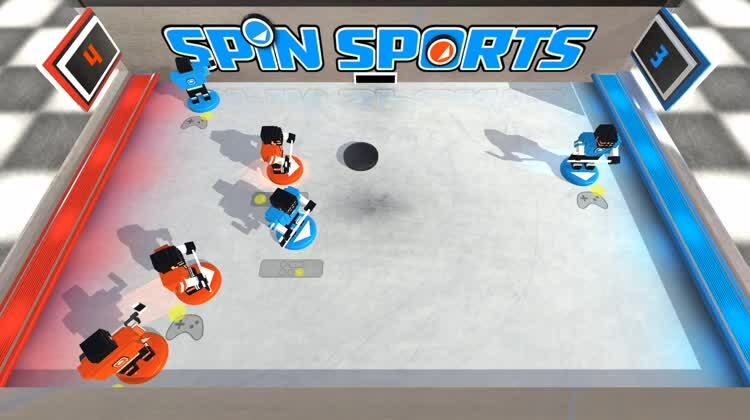 Spin Sports provides a frenzied, multi-player game for Apple TV. Just tap to move your characters when they are facing the right way and see if your team can score. 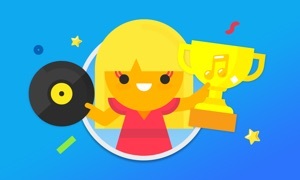 If you are looking for a fun party game with your friends, Spin Sports might be right up your alley. 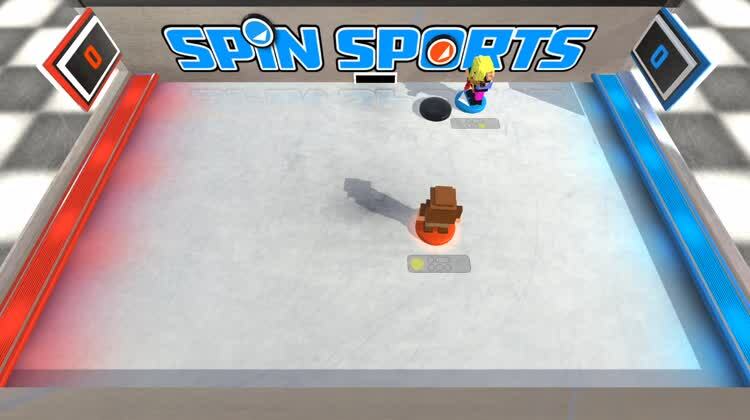 For those who like to play simple but fun multi-player action games, Spin Sports provides a unique “spin.” Be prepared to hit that button when your character is in the right spot and enjoy a range of different characters to unlock. 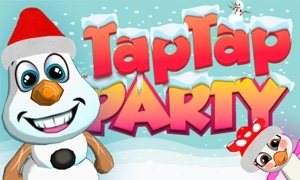 Take on your friends and score to win for some bragging rights. You better hurry... as soon as the next version hits the price of Spin Sports will be going up. However, if you get it now you'll get all the next version game modes and characters at no extra cost!! What are you waiting for?! DOWNLOAD NOW!! Family game night will never be the same again!! 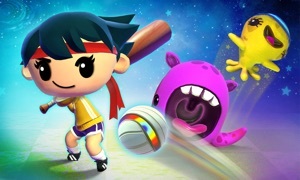 Spin Sports is the brand new local multiplayer arcade game for the big screen! Grab a friend and get ready to spin up the good times! Each character is controlled with a single button on the remote, when your character is facing the direction you want to go, just press. What are you waiting for? Get your spin on today! 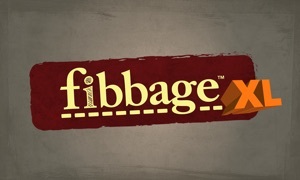 - Frantic local multiplayer action on the big screen! - Multiplayer hot swap - just press a button to jump in!